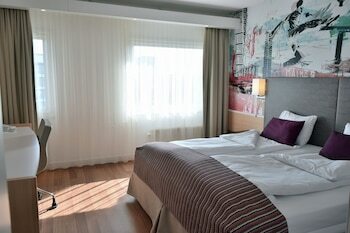 Located in Malmo (Sodervarn), Good Morning+ Malmö is within a 15-minute walk of Swedbank Stadion and Mobilia. Featured amenities include a business center, complimentary newspapers in the lobby, and dry cleaning/laundry services. Self parking (subject to charges) is available onsite.